The A-10 Thunderbolt II, known as the Warthog, is popular – very popular. It’s especially popular with ground troops, as the Warthog provides them with close air support when they’re pinned down or in a pickle. A-10 pilots are often considered different than other combat pilots, with a perspective more like the ground forces they so often protect. 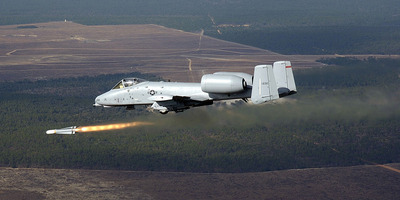 In honour of the grunts in the sky, we’ve compiled seven short videos of the A-10 doing what it does best, whether in training or real-world scenarios.